David Alfaro Siqueiros was one of the three founding members of the Mexican Muralism along with Diego Rivera and Jose Clemente Orozco. The Mexican social realist painter often used the medium of art to reflect his Marxist political ideologies. Today many art students and art lovers often try to understand the social and political motivations of Siqueiros whilst analysing his paintings. The revolutionary painter and social activist is considered to be one of Mexico’s most important artists of the 20th century. By yielding the perfect blend of Renaissance and traditional murals into his paintings Siqueiros was able to create a painting which inspired self awareness amongst the people of Mexico. Siqueiros was one of those rare artists who was very open about his political and social views and reflected it amply via his art. It did draw ire from certain circles within the art world but Siqueiros always struck to his views. Born as Jose de Jesus Alfaro Siqueiros in 1896 in Camargo, Mexico into a well to do Mexican family. After the death of his mother when Siqueiros was only four, he along with his siblings were raised by his paternal grandparents. It is stated that his grandfather played a huge rule in Siqueiros’s upbringing. From an early age on Siqueiros was very outspoken and opinionated, he became a staunch political activist during his time at the San Carlos Academy of Fine Arts. After serving in the army during the Mexican Revolution Siqueiros moved to Europe to complete his art studies. Siqueiros returned to Mexico after a few years and started painting frescos on the walls of schools, he also became very active in the political front forming many unions of artists and the working class. His strong communist political views and labor union works led to many arrests, warnings and years in exile but it never deterred Siqueiros – he always came back stronger and bolder than before. In fact his painting El Coronelazo is a self portrait he made during his time in prison for leading a rally with union workers on equal pay. Today if we look at Siqueiros’s paintings we can see that a lot of his work was historically specific and dealt with worldwide issues. 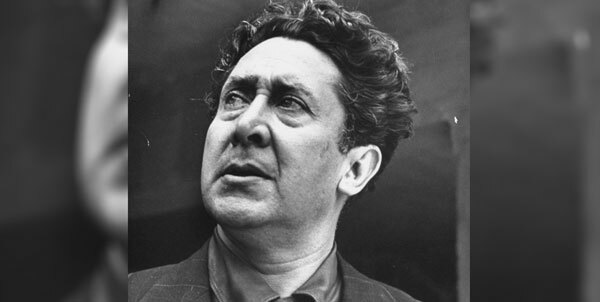 Siqueiros was one of those artists who opted not to use a paintbrush; he preferred airbrushing and the technique of dripping to add depth to his paintings. This often gave the illusion of his work being three dimensional and was considered quite advance for that time. A visit to Mexico today will reveal that most of Siqueiros’s work is adorned on government buildings, which comes as no surprise as he and his followers often worked on thousands of square meters of walls creating dramatic wall paintings. And these paintings were often associated with social and political views. David Alfaro Siqueiros firmly believed that art should be educational and ideological and available for all to see and understand. Most of his works often showcase revolutionary heroes or a hero, for Siqueiros common man was the ultimate hero who had the power to over though systems and gain equality on all fronts.